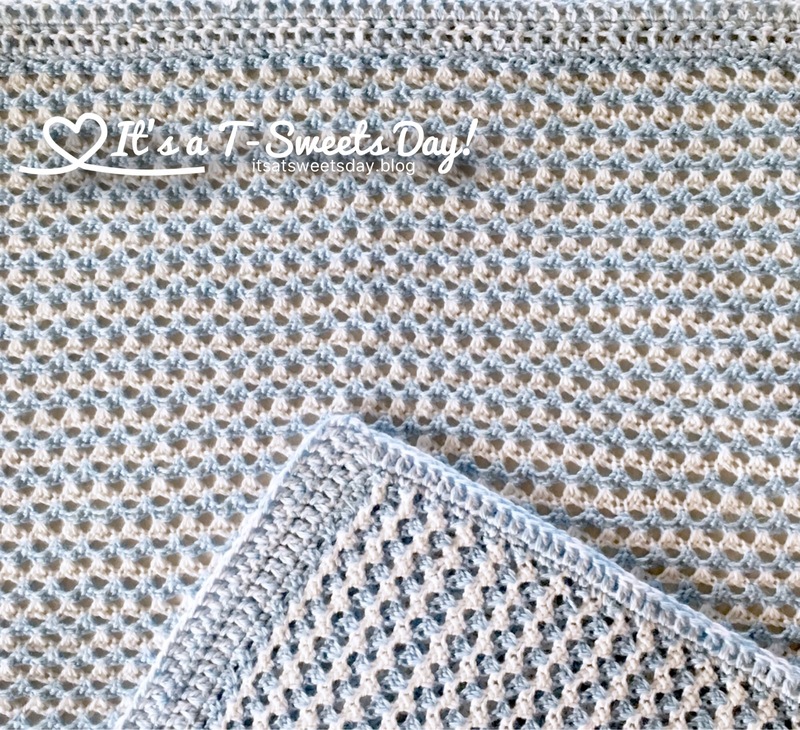 One Blanket Down, One to Go – It's a T-Sweets day! 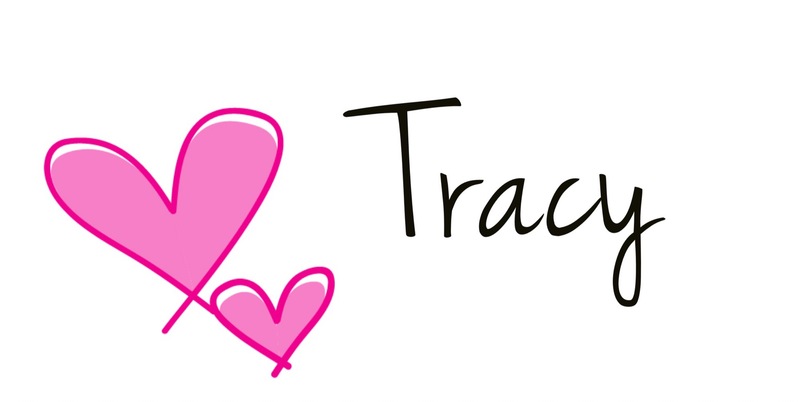 Published on March 31, 2017 March 31, 2017 by Tracy @ It's a T-Sweets Day! Happy Friday to you;)! 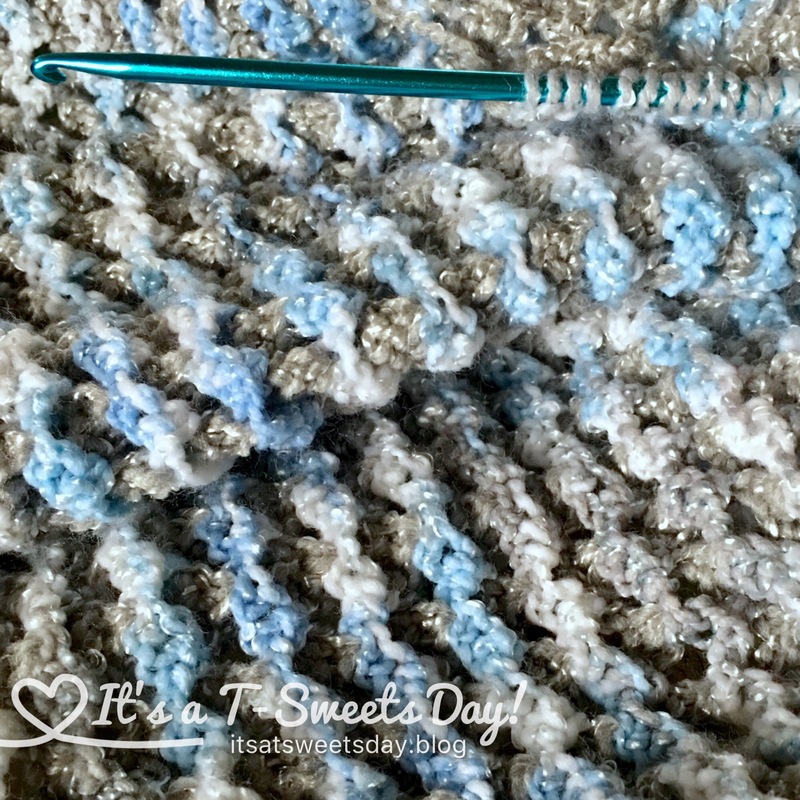 I have been working on my double ended crochet baby blankets, but I haven’t been blogging about them because, really, they don’t change much while crocheting. They get bigger, but the stitch is the same. I am glad to say that blanket #1 is done and I have started blanket #2. Yea!! 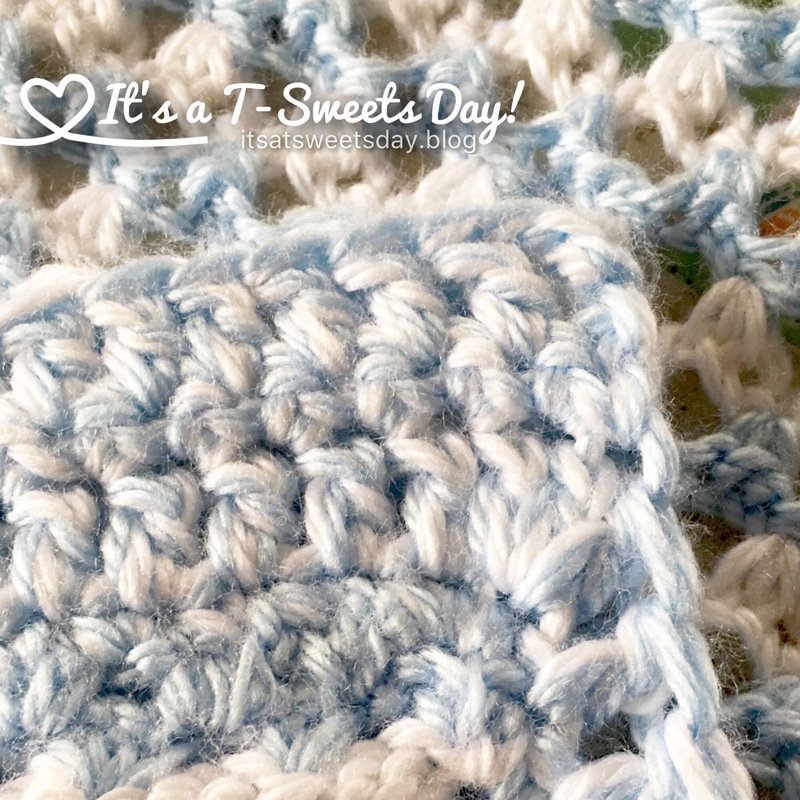 I really do like this stitch.. It makes for the softest, two sided blanket. One side is one color and the other side has more of the accent color. 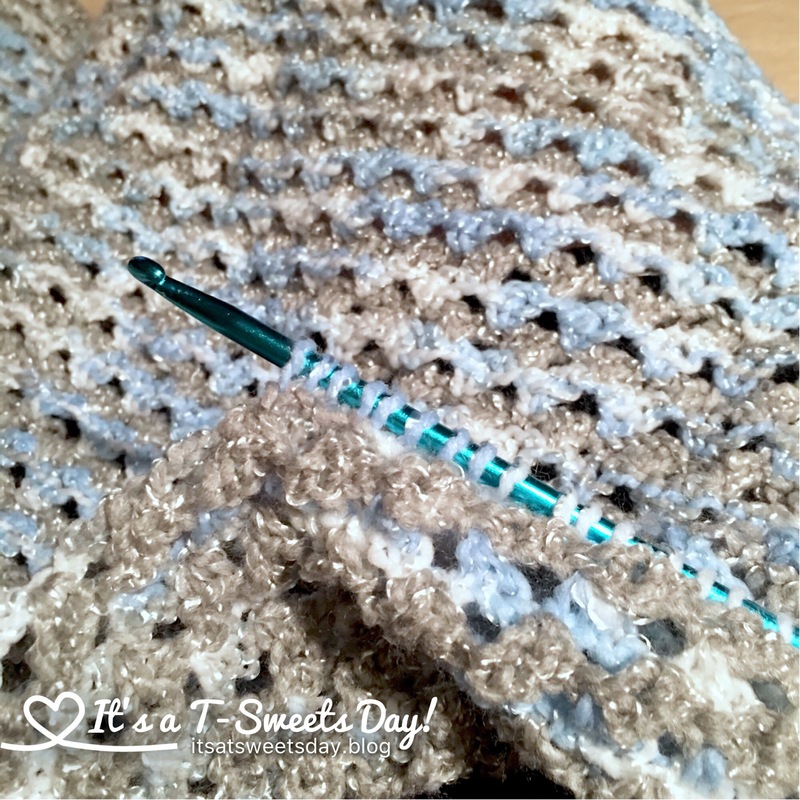 I added a double yarn border and crocheted the ends to be a bit longer than the sides for an added bit of length. 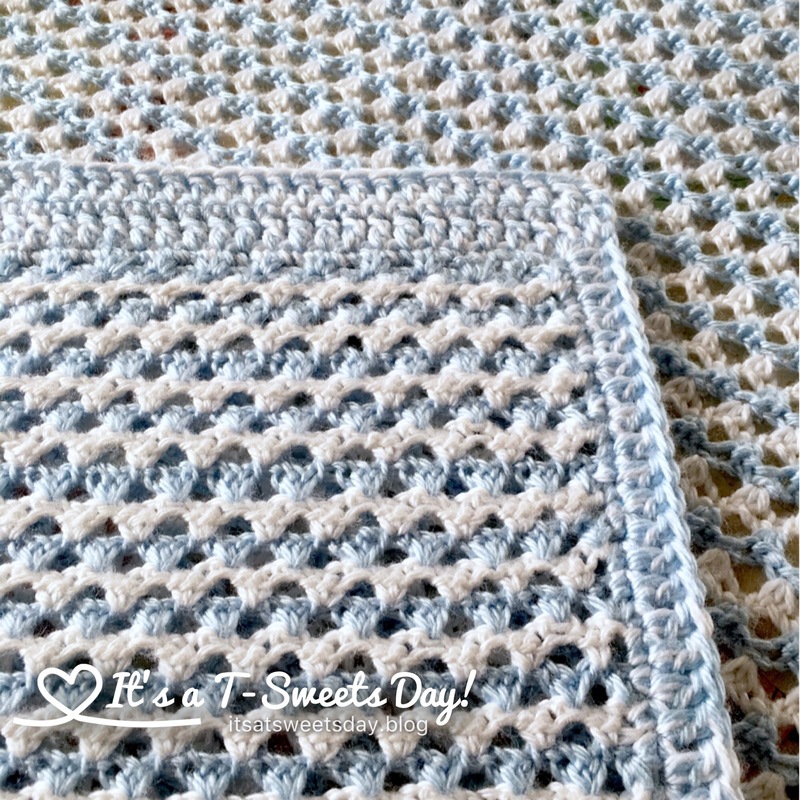 The only thing I would change about this cute blanket is that I wish I would have added a few more rows so I would not have had to block it. Quite a bit of the “magic” stretched out of it. It is still very nice, I just shouldn’t have been in such a hurry to get done. It lays nice and straight and soft though. I can’t wait to see little baby fingers coming through the holes:)! 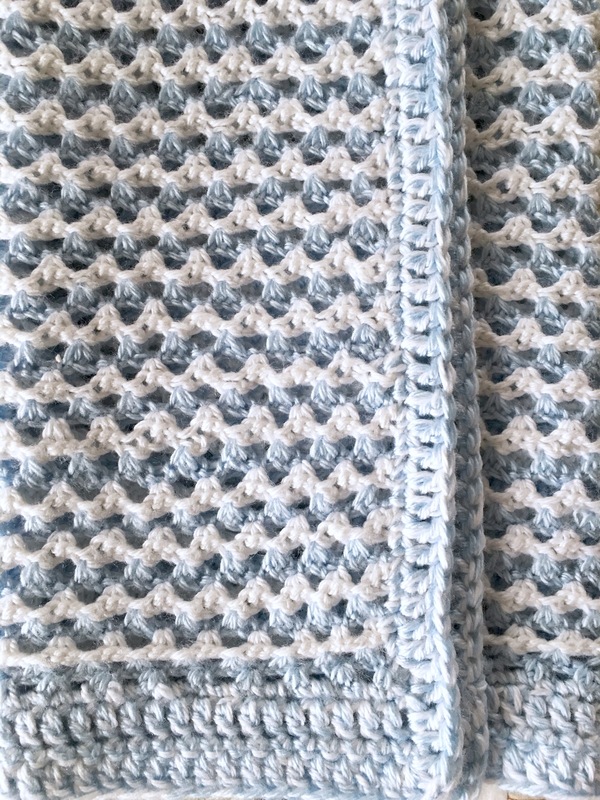 For blanket #2, my daughter in law chose gray and variegated blue. You can see the texture much better without the blocking. I just love love love it! Can you see how it is more gray on the underside and variegated on the top? Previous Delilah Has Arrived Amongst Spring Flowers! OK…….you’ve “hooked” me!!!!! Looks like an awesome portable summer project!!! Off to bookmark your directions!! Hugs…………. I might have to shop for that 14″ dbl hook, though!!!!! LOL!!!!! That is really interesting, and gorgeous. I do like the way it looks. That is really pretty! Good work! Thank you! Two blankets is twice the fun:)!